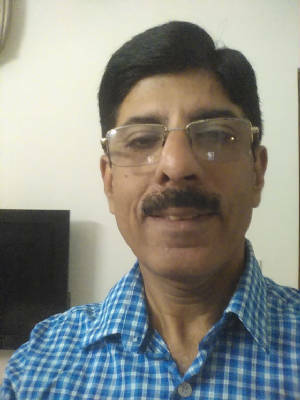 Dr.R.R.Kapoor is an eminent Homoeopathic Consultant of North Delhi. Those who are interested to learn Reiki can contact Dr. R. R. Kapoor. This group includes more of chronic and long standing ailments such as- Frequent Allergies, Allergic Cold, Sinusitis, Asthma, Eczema, Psoriasis, Leucoderma, Hyperpigmentation, Warts, Chronic Headache, Migraine, Hair loss, Arthritis, Cervical Spondylosis, Backache, Menstrual Irregularities, Menopausal Syndrome, Uterine Fibroids, Tumours, Piles, Fissures, Psychosomatic Disorders eg Anxiety, Depression, Phobias just to name a few. Any ailment resistant to the traditional line of medication is strongly recommended to take Homoeopathic opinion. It is likely that you find a Cure. You first put up your query about your ailment simply by sending a brief e.mail message to Dr. R. R. Kapoor. Once you decide to receive the treatment you will have to pay necessary charges by transfer the fee to the bank account . You will immediately receive a long questionnaire, specifically, designed for a long distance treatment, which you have to answer by e.mail. Allow one to three days time to work out your case. PLAN ?? Online Consultation with complete Prescription of medicines will be sent by e.mail to you. DICLAIMER - The long distance treatment protocol we have designed works up to the satisfaction of our patients however the Consultant offering the treatment online will not be responsible for the course of events during the period of treatment, which may be due to variety of factors. The homoeopathic treatment per se is essentially harmless and safe. We do not guarantee 100% cure, no one can guarantee that.